Mobile app world is witnessing a great change. With the advances in mobile technology, the complexities has also increased. It’s all about innovation, strategy, creativity, technology and most importantly, user experience. Hence, enterprises and startups are looking for the expert mobile app development companies which have the ability to build innovative apps that outperforms the competition. Techugo is one such company you can vouch for this kind of app development. It is the leading mobile app development company headquartered in Virginia, USA with the offshore development center in Noida, India. The team focuses on delivering creative and result-oriented solutions that help enterprises generate good revenues. This made GoodFirms spot them in the list of Top Mobile App Development Companies. GoodFirms is a full-fledged research and review firm that evaluates each company based on different parameters. This includes client reviews, industry recognition, seriousness towards project – on time delivery, market penetration, awards and accolades, industry outreach- the sectors and categories served, portfolio, complexity and challenge level, product quality, budget, etc. While evaluating and reviewing Techugo, it was found that the team possess excellent technical knowledge and have the zest to build unique solution for every concept. They leave no stone unturned in deploying perfect solution to their clients. The company garnered 5 star reviews from most of the clients. According to them, the app development team is technically proficient and innovative. The clients also mentioned that they would prefer working with Techugo again for their next app projects. Here’s what clients said about their efficiency and technical know-how. Click here to go through more positive client reviews. As per the recent research carried out by GoodFirms, Techugo secures 54 in mobile app development and 50 in app designing out of 60 points. The scorecard speaks about company’s excellence in app development and app designing. Not only in app industry, they have shown exceptional performance equally in the field of web development and web designing. Hence, GoodFirms also ranked Techugo in the list of Top Mobile App Design Companies, Top Website Development Companies and Top Web Design Companies. 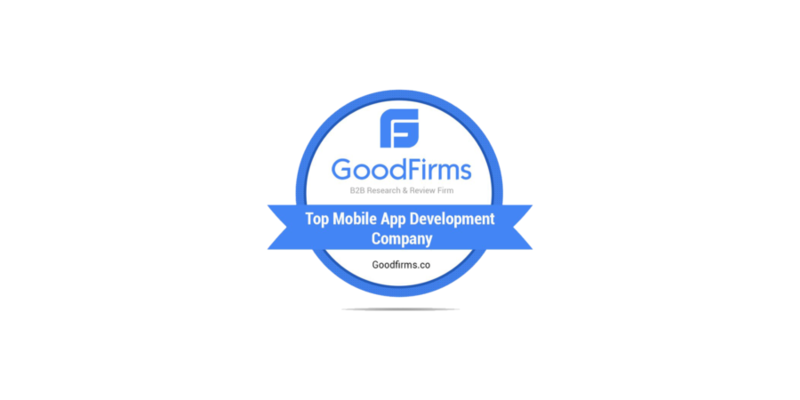 GoodFirms is a maverick B2B research and review firm that aligns its efforts in finding the top mobile app development companies delivering excellent services to their clients. GoodFirms’ extensive research process ranks the companies, boost their online reputation and help service seekers pick the right technology partner that meets their business needs.